How do you work with Java libraries in LDD? We have faced up (actually long time ago) with problem which is related to Java libraries. 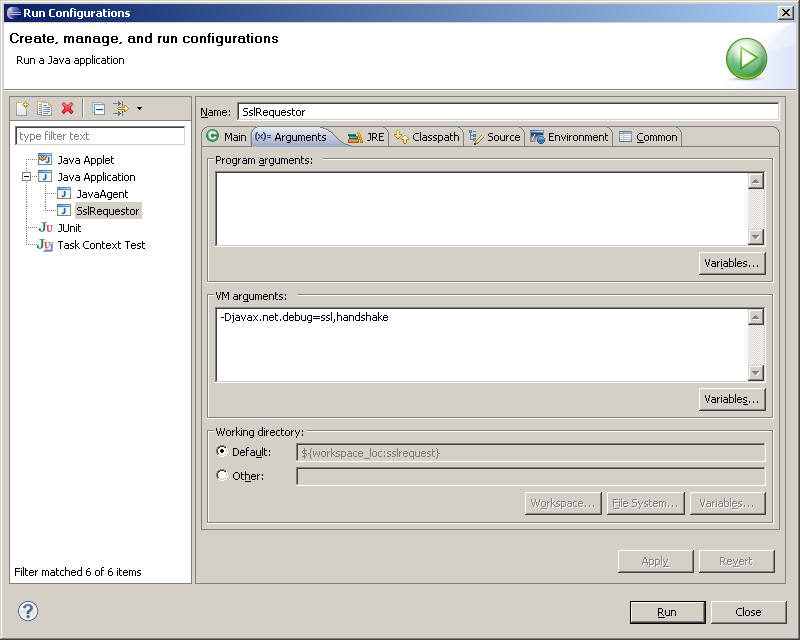 Back-end of our applications on Domino is written on Java fully. Each Java library has ofc own classes and packages. However LDD allows to work only 1 person with 1 library at same time and it is really painful for us as we have to wait till another developer finish his job. Does anybody know if there is a way (SVN?) which may resolve our problem? What we really would like to get - possibility to sync java classes with library, so developers would be able to work with same library and just sync changes to it. Go to Run\Configuration manu and switch to tab Arguments and add: -Djavax.net.debug=ssl,handshake (as I did on screen) and you will get much more debug information that could be useful for you. here is my example. There are some enhancements need to do, but anywhere this also works fine. // Create the connection where we're going to send the file. // Everything's set up; send the XML that was read in to b. // Read the response and write it to standard out. MsgBox "Error #" & Err & " on line " & Erl & " in function " & Lsi_info(2) & " : " & Error, 48, "Runtime error"
I use iText library in some of my LN applications, so I check their site sometimes for updates. Today I found that they announced new version - iText 5 (last one was 2.1.7). I tried to update my code with that library, but I had to do some changes before, because new library has some changes in naming. I was facing with problem when I got task to process image *.jpg and *.png (get their size and resize big image). So let me put some code here to show my approach (it is only first version and it means that there are still many issues). View applet - ext. problem. Nothing news to be honest, but for me it happened first time. I had a task with View's applet, it didn't work correctly in several users and on my PC. It was simple applet, you can see it below my text. the problem was in cab ext. I found that I have to switch off JRE support in my browser, or just to modify the ext. to jar. As you know, when you work with Lotus Notes/Domino as developer, you never think about deleting objects. I mean, when you create a new NotesDocument you never delete it because Lotus Notes/Domino do it automatically. It’s really good feature if you work with Lotus Script, but when you write on Java, for example, Agent on java, you must always use method recycle() for memory release. I want admit, when you call method recycle() for object_A, then method recycle() automatically call for any objects that are created from object_A. It means that calling recycle() on a database object will also do recycle() for all objects obtained through this database. It is important to remember that only one reason for calling recycle() is to release memory when you write an on java. 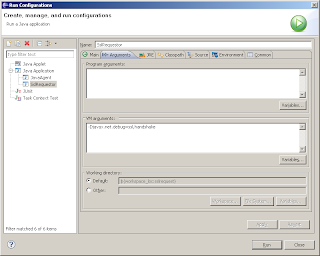 Yesterday I tried to connect Notes.jar (java library in Lotus Notes) to my simple Java application in Eclipse 3.2. I had some problems with it. When I added Notes.jar and tried to compile my project, debugger gave me an error. I began to search information about it and found interesting article. A problem was very simple, I didn’t think about “Environmental variables”, so when I added them, my application was compiled!